People sense that there is a higher power in the universe, a God or Creator that is responsible for all of the good that is seen in creation. One indicator of this is that when recently polled, 92% of Americans said that they believe in a higher power or God. It’s also true that people know that their lives are not perfect, that they have said and did things that they wished they hadn’t. The need for forgiveness and unconditional love is a basic need for every human being. The fact is that God is very real, and He wants everyone to know His unconditional love for them. There is forgiveness for all those past mistakes we’ve made. St. John was started and exists today to proclaim the Good News of God’s love through the saving work of Jesus Christ. Have you sensed the need to learn more about God? Is there a void inside of you that you haven’t been able to fill with people, things, or entertainment? 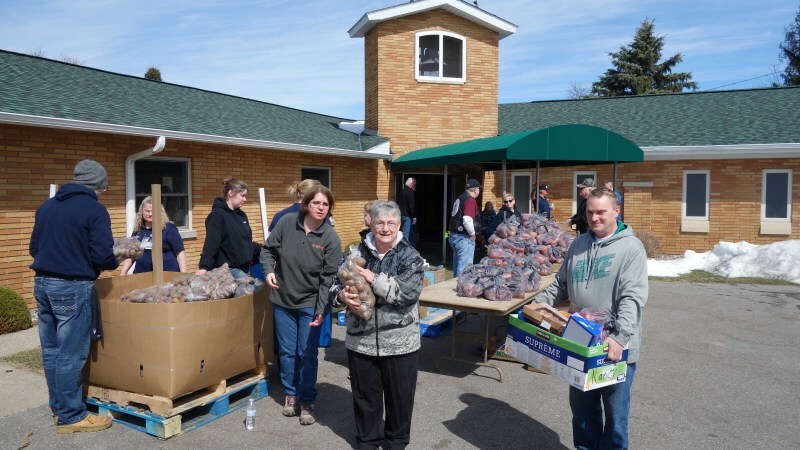 St. John Lutheran Church was formed over 110 years ago to reach out to people in need. Visitors, guests, and members receive the blessings of a close relationship with our loving Lord through worship, fellowship, and opportunities for Christian education and Christian outreach. The love of Christ overflows into the community, as well. We are active in distributing food to the needy through food giveaways. 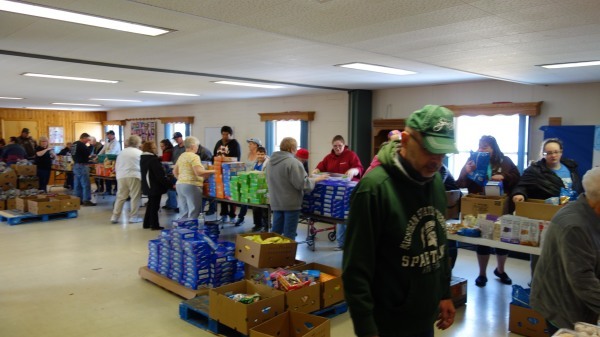 Each food giveaway reaches more than 250 families with more than 15,000 lbs of food distributed. The community is invited to join us as we reach out in love! The congregation of St. John is pleased to support community agencies, like the American Red Cross and the Caring Pregnancy Center of Ogemaw County. Pastor Travis conducts a weekly worship service at The Villa of West Branch. We exist as a congregation to share the love of Christ with others. St. John the apostle wrote the following, “This is how God showed his love among us: He sent his one and only Son into the world that we might live through Him. This is love: not that we loved God, but that he loved us and sent his Son as an atoning sacrifice for our sins. Dear friends, since God so loved us, we also ought to love one another” (1 John 4:9-11, NIV). It is our hope and prayer that you will spend time getting to know us through worship, Bible study and fellowship. We welcome you to join us. Hello, and welcome to St. John Lutheran Church. We trust that you found your visit meaningful and we look forward to having you as our guest again soon. Our congregation is a place where people of all ages share the love of Jesus through worship, Bible study, Sunday school, and fellowship. We also work together to bring the message of Jesus Christ to our community and the world. St. John the apostle wrote the following, “This is how God showed his love among us: He sent his one and only Son into the world that we might live through HimHello, and welcome to St. John Lutheran Church. We trust that you found your visit meaningful and we look forward to having you as our guest again soon. St. John the apostle wrote the following, “This is how God showed his love among us: He sent his one and only Son into the world that we might live through Himwrote the following, “This is how God showed his love among us: He sent his one and only Son into the world that we might live through Him.